Austin Moving Franchise Available. 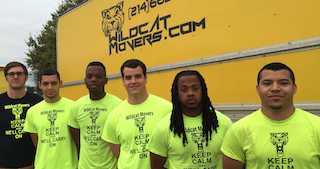 Contact Wildcat Movers if you are interested in joining our team as a Franchisee. Wildcat Movers is looking to partner with an entrepreneurial minded individual looking to take the Austin Moving Industry by storm. Wildcat Movers is excited to announce that we will be soon be entering the Austin TX market. With 1000s of moves under our belt we look forward to providing the same great moving service to Austin as we do to the rest of the state of Texas. Austin in a real mover and shaker in the Texas landscape. When looking for a moving company in Austin TX make sure to check out Google and Yelp reviews to find a company with a great reputation.